A day that started and ended with two magnificent piers and an ultra special one with golden orbs in the middle. Do not go there. I said orbs and not balls. Oh…. and see if you can spot me- a kind of Where’s Wally but me and without a striped T-shirt. So I suppose nothing like it really. Dawn was glorious. So up I bounced and down I went to the front. 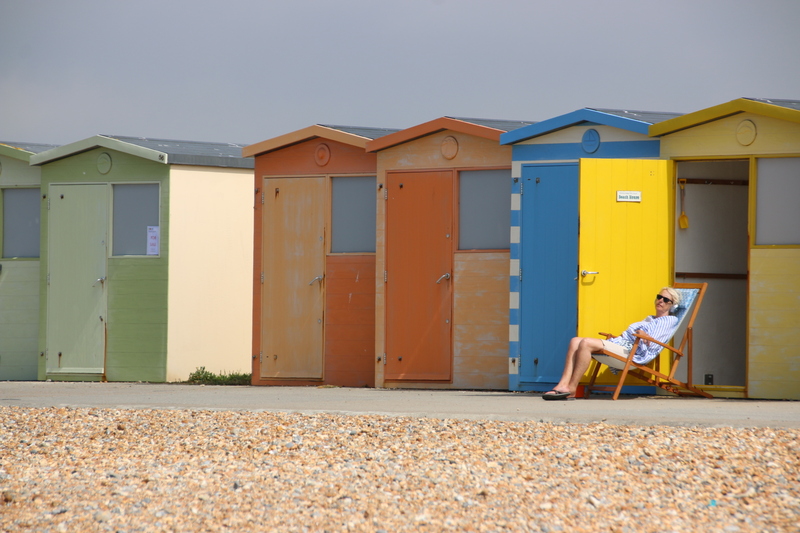 The sun shone so innocently on Hastings pier, lighting up its colours in fresh-faced shades of happy, summer colours. 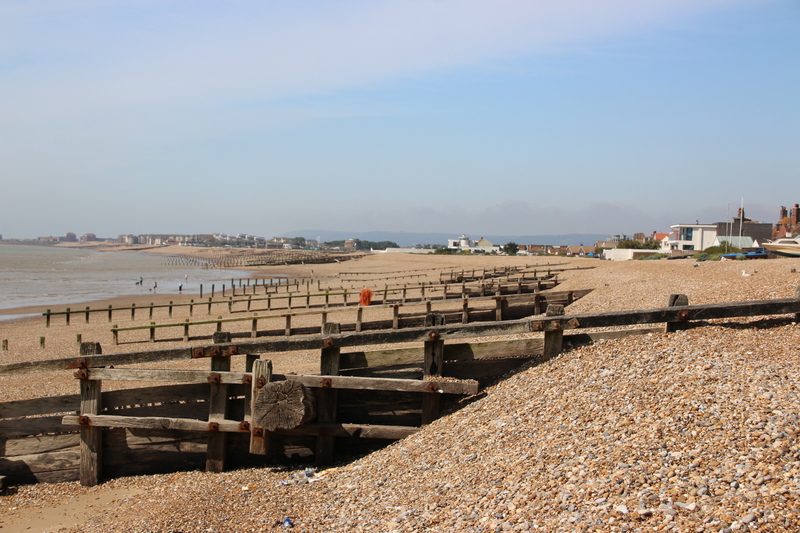 My first port of call was Bexhill-on-Sea. A rather grand, Victorian, rather pompous sort of place which I quite liked. From here a huge crescent of wide, pebbly bay stretches westward, lined by the beach gardens of well-to-do detached housing. Half way along is Pevency from where this expanse of beach and sea can best be seen stretching away in either direction. The only people to be seen are dog walkers with their dogs and their tight little bags of poo dangling from limp hands; the humans that is, not the dogs. 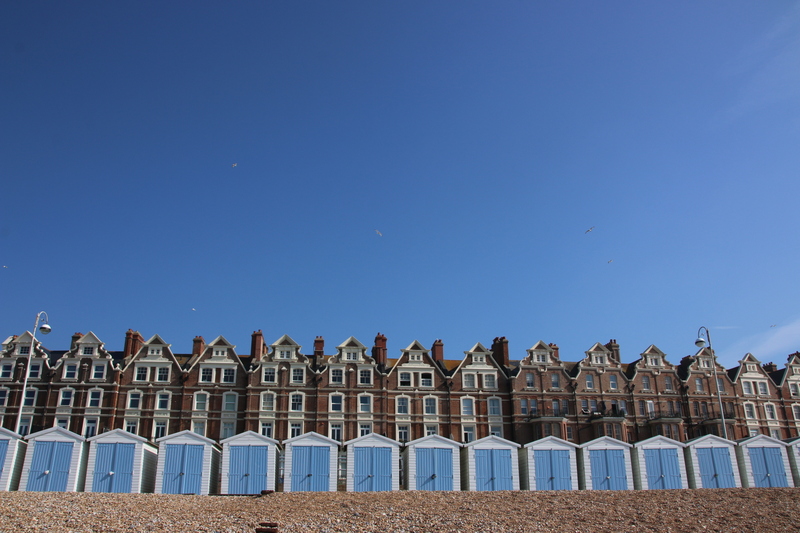 The first sight of the front at elegant, white, grand Eastbourne really does take the breath way. 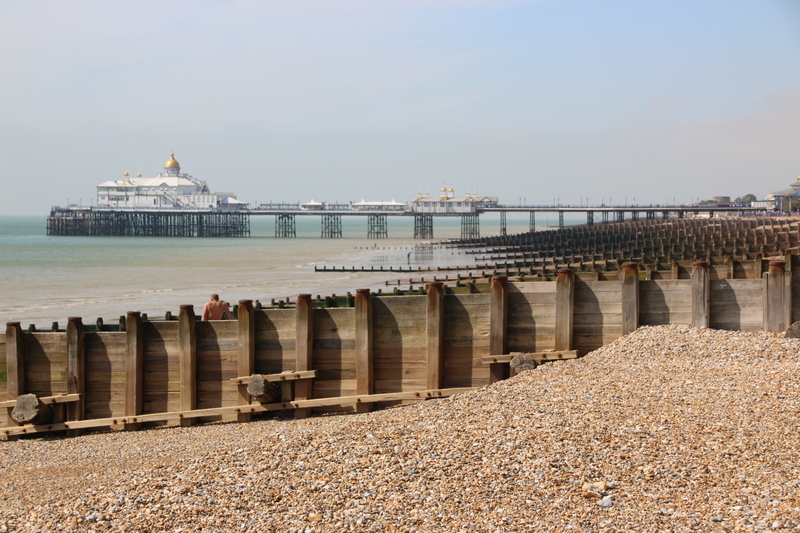 A long terrace of hotels and guest houses overlooks the road, the promenade and the wide contours of multi-browned pebbles, dissected by lines of groynes to keep them all in their rightful place. 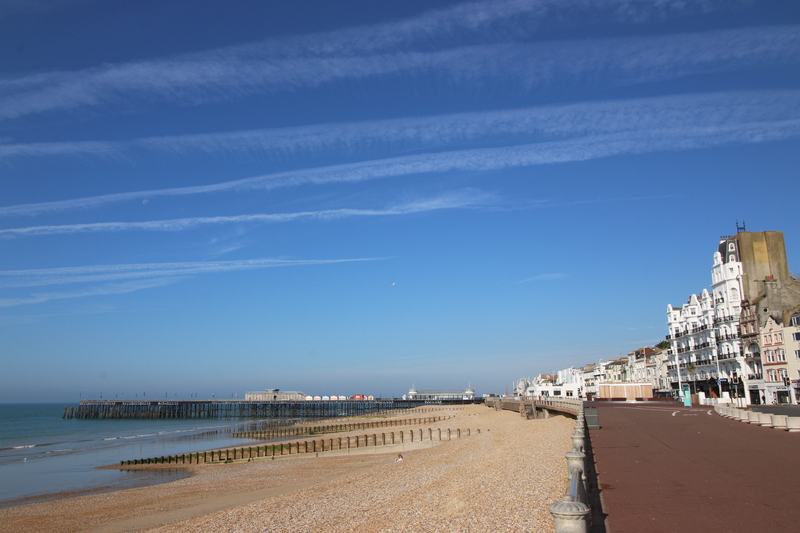 Behind this, the glory of Eastbourne pier stands out to sea, proud and strong, its golden domes blazing the sun’s reflection back into the town. Gold and white do go rather well together. A short drive over the cliffs brings me firstly down to the calm that is Seaford. Then, just to remind us that some people have to earn a living, rather than just holiday, it is another drive along the cliffs before dropping down into the working port of Newhaven. Then back over the cliffs, through Peacehaven (for some reason I really like that name) to arrive in Brighton. 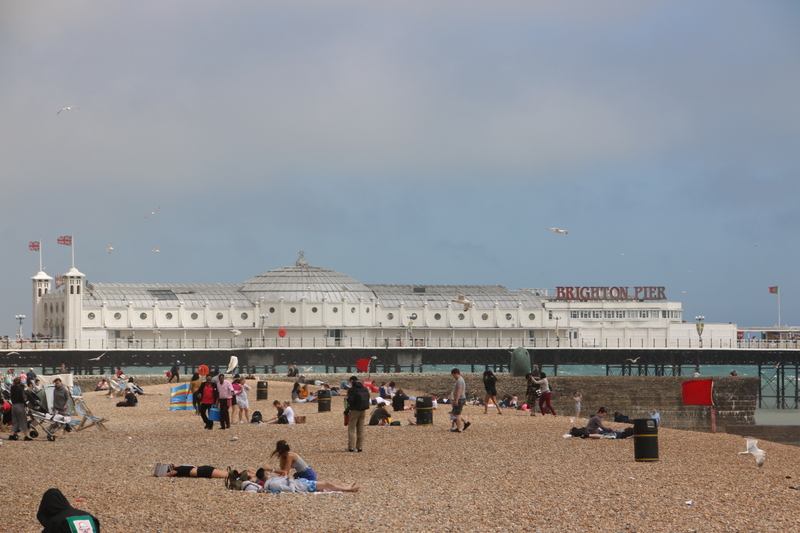 Now, I could show you this image of the beach of Brighton which I am sure you are familiar with and you might say ‘a magnificent pier to end the day with’. 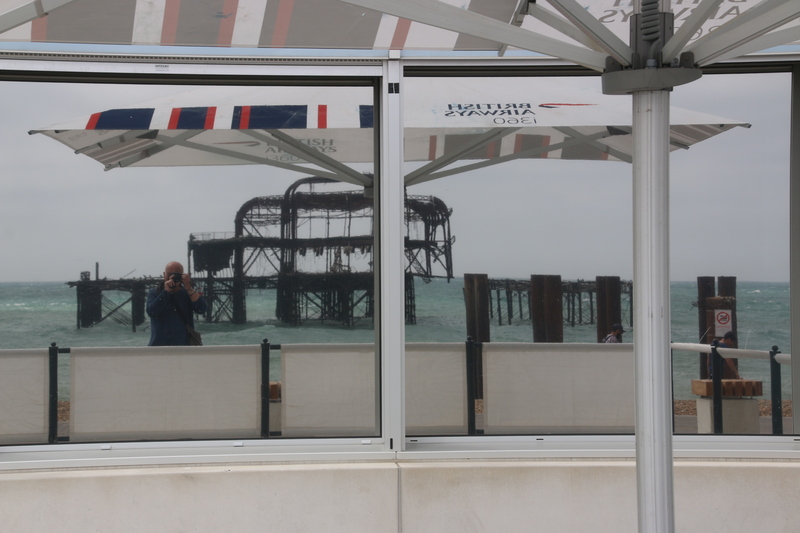 But I wanted to share with you some different images of the beach at Brighton and of a very different, but, I think, equally magnificent pier. 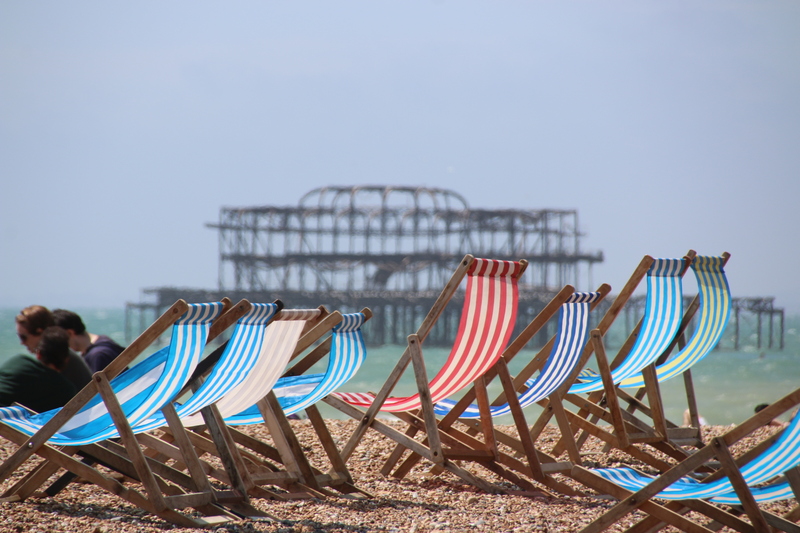 West Pier opened in 1866, closed in 1975 when it fell into disrepair which was then doubly compounded by two fires in 2003. 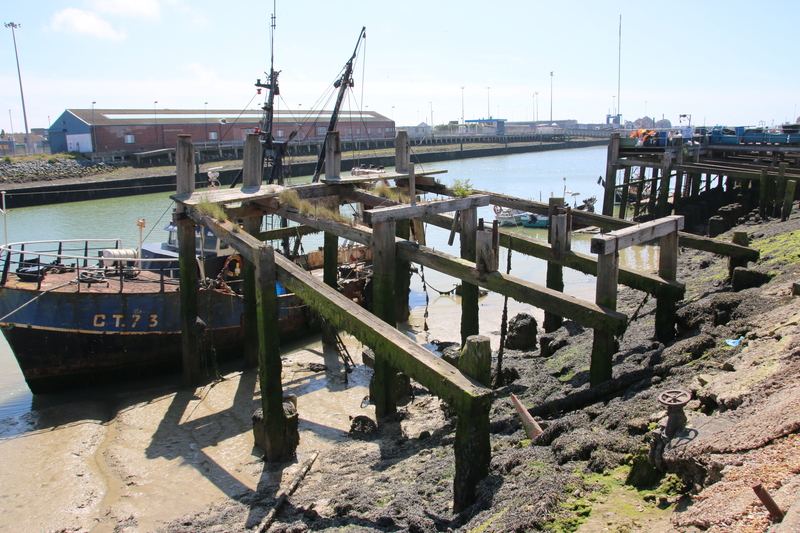 Only a skeleton of rusting iron remains as the town’s most photographed feature. 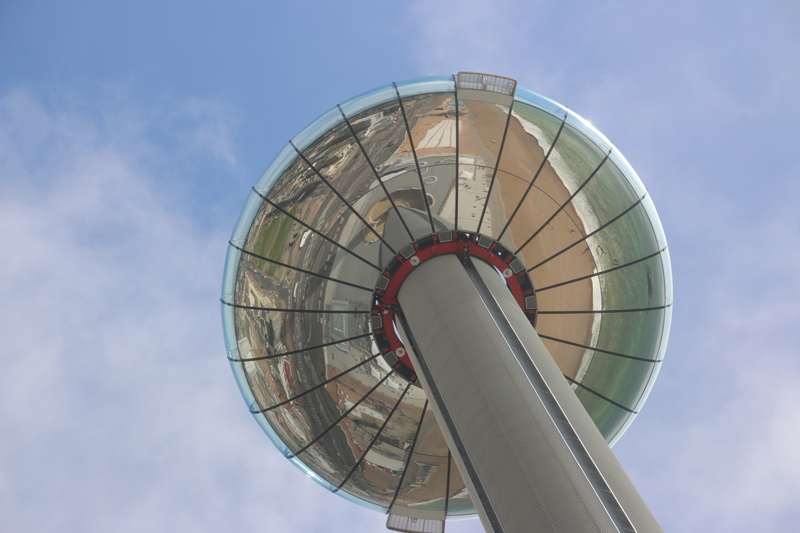 This contrasts with the nearby, state of the art viewing platform sponsored by BA which opened in 2016. No mention of your two favourite friends ? ?